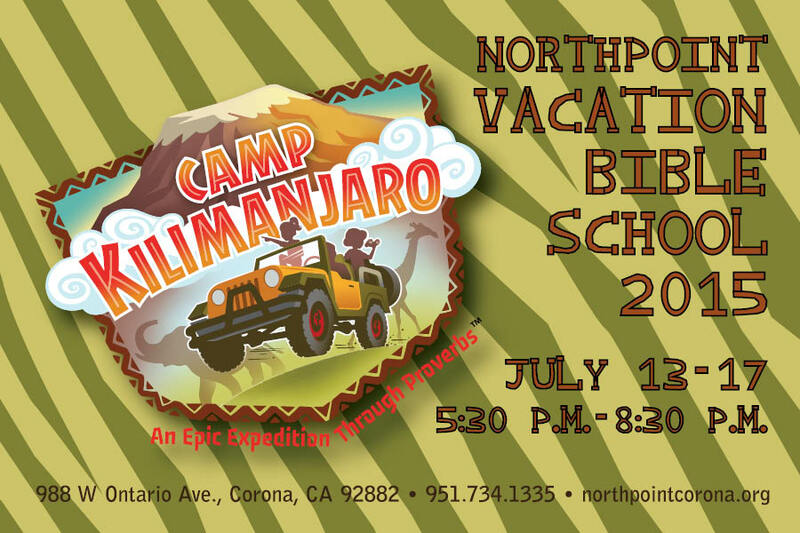 This year at NP’s Vacation Bible School, you will be taken on an adventure to Camp Kilimanjaro! Experience a life-changing, epic expedition through the book of Proverbs. Our trekkers will learn to have: ears that hear and do God’s Word; hearts that trust in the Lord; tongues that speak in a God-honoring way; hands that get to work; and feet that walk with the wise. There will be skits, music, games, snacks, crafts, Chick-Fil-A on Friday night, and the study of God’s Word to point you to Jesus! Are you ready to go? Then lace up those hiking boots, grab your gear, and let’s get going! Register children in the Foyer beginning Sunday, June 7, between first and second services, and after second. Bring your K-6th grade friends and neighbors. Volunteers welcome! For more, please contact Katie Marble at kmarble@northpointcorona.org, or 951.734.1335.